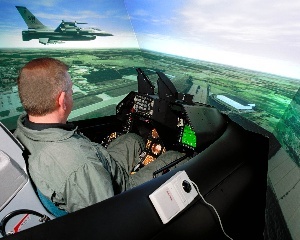 VDC Display Chosen to Supply Pilot Training Projection Systems. Video Display Corporation designs, develops and manufactures unique solutions for display requirements for military, medical and industrial uses with emphasis on high-end training and simulation applications. Its product offerings include ruggedized LCOS, CRT and AMLCD displays as well as complete projection display systems utilizing VDC Display Systems Marquee(TM) and ESCP line of projectors. Video Display Corporation operates eight sales, design and manufacturing facilities throughout the United States and Europe. For more information, visit the Company’s web site at http://www.videodisplay.com.